We’re all in business to succeed and while success means something different to everyone, it may be safe to assume that if we’re selling products, we want to sell more today than we did yesterday. So how can we build baskets and ultimately sales? While there may not be a perfect mix of assortment, displays, or offers, there are various tactics you can deploy to drive volume. 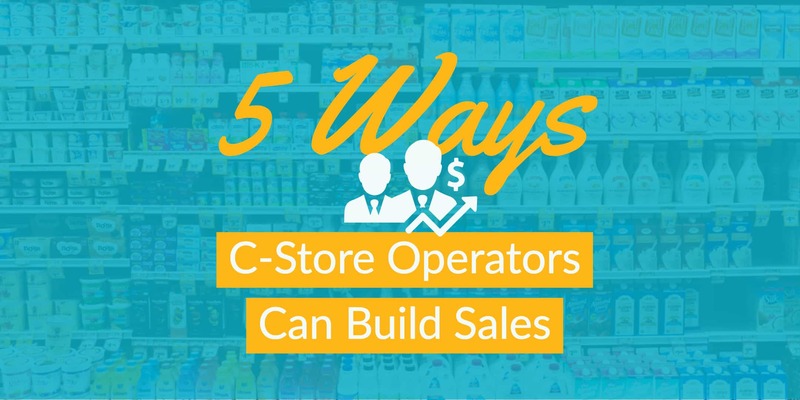 Read on to find five ways C-Store operators can build sales. 1. Incremental/impulse displays – Additional displays outside of your respective space on shelf can pay dividends. While some CPG companies will pay for incremental displays (floor displays, counter displays, side wings, etc.) you should look beyond that fixed cost. Consider instead, promoting new SKU’s or slower movers to drive trial. While PDQ’s have traditionally been sized for grocery or larger format retailers, CPG companies are now developing smaller display sizes to ensure full sell through. Consider looking at displays that can sell through in 1-2 weeks to get the best return on your floor space. 2. Local offers – Consumers appreciate offers tailored to them and the market they live in. If you have a national business, or even one that spans multiple states or counties, consider running promotions specific to individual regions. For example, if you have stores in NYC you may want to run offers to entice multiple purchases, or basket builders. If you have loyalty card data on your consumers you can use that information to help bring back a lapsed consumer or share a deeper discount with those customers that don’t make frequent purchases. 3. Healthy options – Convenience Store News reports that only 27% of health-conscious consumers are satisfied with the healthy food and beverage options available at their local c-store. One way to build sales in your C-Store is to take advantage of these recent trends toward healthy foodservice and provide healthy, fresh options. Think about packaged food that has a short shelf life or clean label products. These types of items will resonate with your healthy consumers. 4. Loyalty programs – Taking care of your primary customer base may be the easiest, but sometimes overlooked, opportunity for any retailer. Think of the Pareto principle (also known as the 80/20 rule). Using this assumption, we can derive that 80% of your business comes from 20% of your customers. While these figures may not hold true in your establishment, the sentiment is the same. Ensure you’re taking care of the customers that visit your location the most. For example, loyalty programs that offer members $0.10 off/gallon is a great way to keep your customers coming back. 5. Expanded grocery offering – Variety is the spice of life, right? While expanded grocery offerings may not make life more interesting, they can help convert a browser to a consumer. Consider items that resonate in your market and remember the healthy options as noted above. Studying other retail spaces will uncover that healthy snacking options are on the rise. Consider doing a market ride in your area to uncover the next big thing. Contact us to learn how StrasGlobal can help you take advantage of these ways to build your retail sales and profits.